Looking for a fun deal on pajamas? 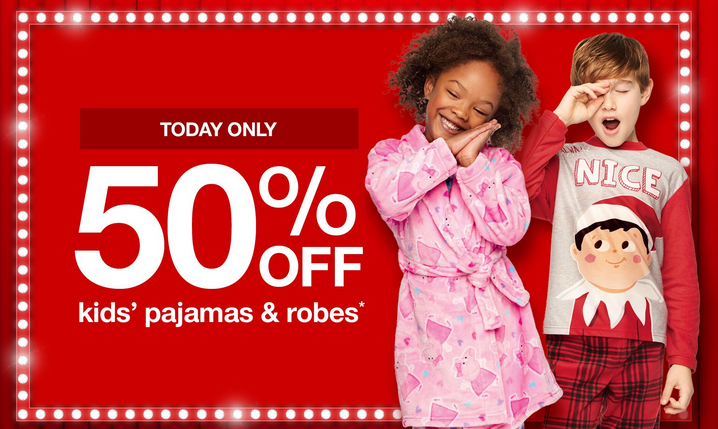 Today only, Target has 50% off PJ’s for kids. 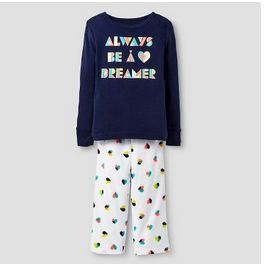 This includes Christmas pajamas (but excludes clearance). Note: if the item you want is sold out online, be sure to check to see if it’s available for in-store pick-up. Shipping is free. Deal is valid today, 12/17, only.